Events are better at the fire station! All events are family friendly and we would love for you to join us! On October 6, 2018, join us for our 14th annual Chili Cook Off and Car Show! There will be craft vendors, classic cars, motorcycles, and a chili competition for you to enjoy! The day will feature prize raffles, a bake sale, the fastest firefighter competition, and more! Best of all, this event is free and open to the public. In our chili competition, you can be the judge! Sample all entries and vote on your favorite for first prize. At our car show, tour our parking lot to see unique and classic cars. Prizes will be awarded in several categories for cars and motorcycles entered in the car show. For those who love shopping local, inside our fire station you can find several booths for local businesses and craft vendors of all kinds. Think you have a winning car or chili recipe? Enter into the competition by completing the registration form and sending it in with payment. Vendors who would like to participate should also fill out the registration form. See the link for the application. Click to download the registration form if you would like to enter your chili, car, motorcycle, or as a vendor at our 2018 Chili Cook Off and Car Show. Here are the rules for those entering their chili into the competition. Fire prevention saves lives! Be safe and be prepared. 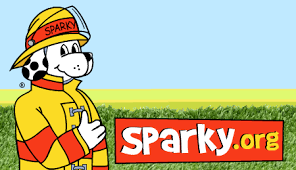 Click each picture below for some great fire safety tips and fun activities for the whole family! Check back with us soon for more information about how to get involved with this year's Toy Drive! Donations to the Lyons RFPD are always appreciated. The link below will open our online payment center.